Worried your constant forgetfulness could be more than just a series of “senior moments?” A quick 15-minute test could provide some answers. Researchers are saying a new pen-and-paper test that can be taken in the convenience of your home could be key in spotting the early signs of cognitive decline and dementia. Over 1,000 volunteers ages 50 and up were given the Self-Administered Gerocognitive Examination (SAGE) as part of a study by the Ohio State University’s Wexner Medical Center. Researchers found the test was successful in detecting 4 of every 5 people tested with mild cognitive decline. How many nickels are in 60 cents? How are a watch and a ruler similar? Write down the names of 12 animals. Draw a large face of a clock and place in the numbers. Experts stress the importance of early detection with Alzheimer’s and dementias, providing the chance to get the full benefit of treatments sooner and also to allow for future planning. Researchers say the SAGE test shouldn’t be used to diagnose, rather to detect symptoms. While there is no single way to diagnose Alzheimer’s, a number of physical and neurological exams are given for diagnosis. Late last year, one study showed some success in using a peanut butter sniff test to distinguish people with cognitive impairment. Test-takers can take the assessment then share the results with their primary care physician. Researchers say the at-home test could be more effective in detecting early symptoms of cognitive decline than a standard office visit, as doctor’s often can’t observe subtle cognitive impairments during a brief visit. Missing 6 or more points on the test means there should be additional medical follow-up. It’s that time of the year again, the time when the year just plain ends. Alas, we can’t just let 2013 go that easily, especially since travelers spent it both up in the air and up in arms over a crazy range of topics. Needless to say, we’re ready to get going into 2014, but first we’re taking a brief look back at the best of 2013 with the Jaunted Travel Awards,—or as we fondly refer to them—The Jauntys. Jaunted, “The Pop Culture Travel Guide”, part of Condé Nast Traveler Network, has given a Jaunty to Lisbon for Destination of the Year 2013, following Santiago, Chile as 2012’s Destination of the Year. 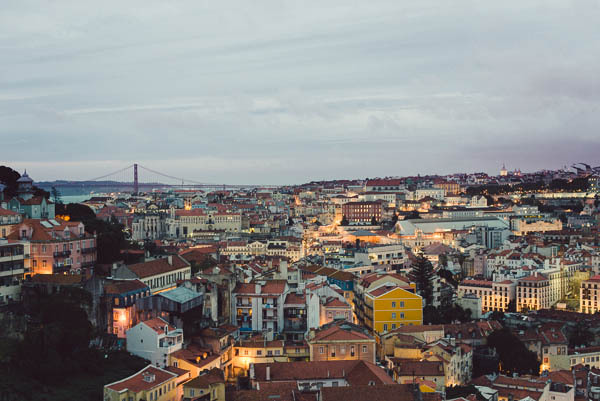 The writer states that, for some reason, Americans have been ignoring Portugal and that reflects on the reactions colleagues have had over some comments – a good example being that Lisbon looks just like San Francisco. As a result, they’ve put together some basic travel packages to help you get to know the city. Apart from Lisbon, Jaunted has also visited the South of Portugal in 2013 and has already plans to come back in the Spring. Have you been to Lisbon yourself? Share your experiences and thoughts with us below. Belén de Vicente, CEO of Medical Port, Premium Medical Tourism Facilitator, has become the first portuguese Certified Medical Tourism Specialist. Belén de Vicente has obtained the prestigious certification from the Medical Tourism Association (MTA), a certification of expertise within the Medical Tourism field which clearly sets Medical Port apart from its competitors and reinforces the company’s understanding of medical tourism patient facilitation services, best practices in implementation & communication and the best practices in medical tourism and International patient services. We will be your only point of contact during your Medical Tourism experience. We’ll listen to your needs, prepare your offer, put you in contact with the physician for the pre-assessment stage, provide you with your travel plan, enroll you at your Hospital of choice, book your favorite Hotel, a translator or chauffer. We can even organize a dreamy cruise for you, a very nice way to celebrate your recovery. Whatever your needs or desires may be, we’ll make sure they’re attended to. It’s not a joke. A car mechanic in Argentina has invented a tool that will ease births and possibly save countless lives in the future. The story is from The New Times and begins with the origin of his idea. The video below gives us a pretty good idea of how it works. Full story here. HealthAndCare.in: What’s the role of Medical Port as the first truly Global Medical Tourism Facilitator in promoting medical tourism in Portugal? Belén de Vicente: The role of Medical Port has been quite important at this stage in which Portugal is not yet known as a medical tourism destination. This lack of awareness requires an approach mainly centered in “educating” potential target markets so they understand our capacity to deliver. In a short sentence, we are building the credibility and reputation of the country in this business. Additionally, our role is also very much centered in promoting the reasons why patients should elect Portugal for their medical treatments or surgeries abroad (see question 3 on this topic) and with a much focused strategy in terms of target markets and customized packages. When you are not known you can’t pretend to have a general approach. As compared to other nations like United States, Malaysia, Thailand and India, where Portugal stands as far as cost comparisons for most common procedures for example like Heart Bypass, Dental Implant, Knee Replacement and Lap Band/Bariatric are concerned? Belén de Vicente: As to overall savings, and this depends very much on the country of origin, clients can save anything between 30 and 80% in some cases. As an example, a total knee replacement in the United States costs between 45,000 and 60,000$ whilst thru Medical Port a patient can do the same procedure in Portugal in internationally certified hospitals and with top physicians for a little over 20% of the lowest estimate in the US. Portugal is not cheaper in some procedures that, for example, Thailand, but other factors make it a better choice and overtake the price difference. 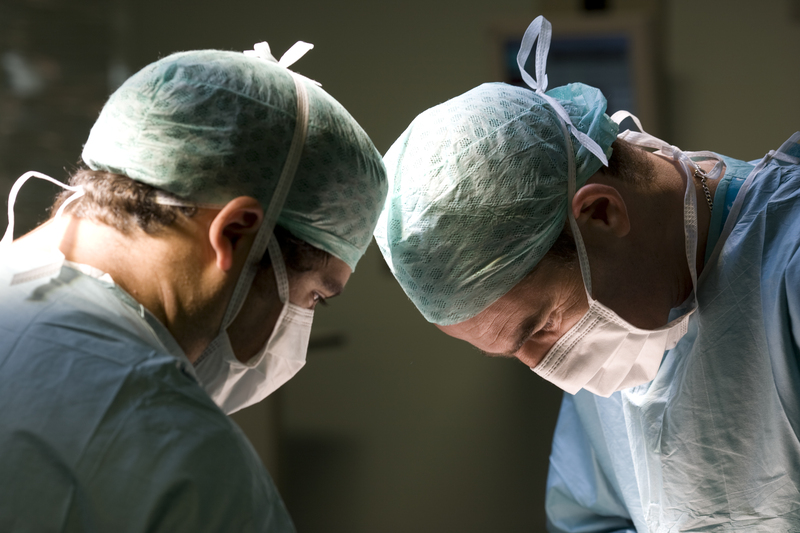 Why should Why should medical tourists choose Portugal for Medical Tourism? A) Quality of healthcare infrastructures and staff. In terms of comparison with other European countries, Portugal has healthcare public indicators above the average and as good as Germany or the Netherlands. As an example, The Global Competitiveness Report tells us that Portugal ranks 10th in Infant Mortality and 30 in terms of Health and Primary Education, ahead of countries like Spain, U.S.A., Thailand, India or Mexico. B) Hospitality. Portugal is known by its capacity to host foreigners and make them feel well. In medical tourism, an area in which trust and caring are main values, to serve the clients with these qualities is a cornerstone for the business. In Portugal the number of people speaking foreign languages is very high and in the services industry you can expect everybody to speak at least three languages. C) Touristic ecosystem. Our country has the right weather conditions and the adequate lifestyle for a perfect recovery. The variety of settings that we can find in huge cities and in the countryside allows us to offer touristic alternatives for a huge range of interests and medical conditions – from sun and beach, to golf, to river cruises, to city tours. The main two cities of Portugal, Lisbon and Porto have been systematically winning touristic destination awards like the recent election from the magazine “Condé Nast Traveller” of Portugal as the best destination to travel in 2013. Additionally Portugal is one of the safest countries in the world and this is an extremely important point to bear in mind when you travel abroad. Are you offering package tours for the medical tourists to Portugal? Have they been cost effective? Belén de Vicente: We offer package tours adequate to the medical condition of our clients and their companions. Some clients prefer to enjoy the touristic packages before the surgery with their accompanying person, others prefer a recovery package after surgery. This capacity to customize is very important as well as the capacity to understand the clients’ interests and concerns. We are able to offer packages for a different range of prices and tastes – from the basic flight and hotel alternative to the highly luxury touristic resort which can include an exclusive cooking and wine tasting activity or an individual visit to a museum guided by an artist. This flexibility is also very important and you can have all this wide range of alternatives at a very cost effective price since Portugal is one of the countries with the higher quality-cost ratios. Can patients expect any language barrier, when they visit Portugal for their treatment. For example, how you will deal with a patient who speaks only their countries local language? Belén de Vicente: If our clients’ language of origin is Portuguese, Spanish, English or French, the service can be provided in those languages without the need of interpreters. Most physicians and nurses we work with speak these languages. As for other languages, Medical port offers professional interpreters per request. In those cases the interpreters are trained by us in order to assure they understand the characteristics of a medical tourism setting and client. We believe that establishing a good and trustful relationship with our clients is a key success factor in this business. 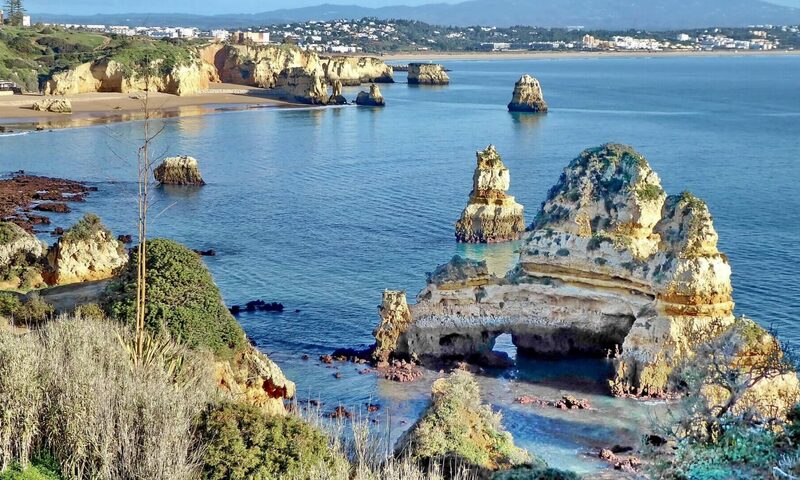 Taking advantage of its privileged location in the old continent, being able to offer beach, country and city plans only minutes away from each other, its amazing weather and openness to welcome foreigners Portugal is now a strong player in the provision of Medical Tourism services. The combination of a long tradition of high-quality touristic offers with state-of-the-art private medical infrastructures, available 24*7, with spotless facilities and private rooms, as well as highly qualified patient-oriented medical teams, fluent in different languages, are the basic ingredients for an high-quality Medical Tourism offer in Portugal. All residents in Portugal have access to health care provided by the National Health Service (NHS), financed mainly through taxation. Approximately one-fifth to a quarter of the population enjoys a second (or more) layer of health insurance coverage through health subsystems and voluntary health insurance. Health care delivery is based on both public and private providers. Public provision is predominant in primary care and hospital care, with a gatekeeping system in place for the former. Pharmaceutical products, diagnostic technologies and private practice by physicians constitute the bulk of private health care provision. In the last decades many measures have been adopted to improve the performance of the NHS, including public–private partnerships (PPPs) for new hospitals, a change in public hospital management structures, the reorganization of primary care and the creation of long-term care networks. Portugal’s Key Public Health Indicators are well above European average according to the World Health Organization, namely life expectancy at birth, life expectancy at age 60 and neonatal mortality rates, reinforcing the quality of the Portuguese Healthcare system. As an example, the mortality rate has declined more than 0.8 percentage points since 1975. This trend reflects both an improved access to an expanding health care network and a continuous political commitment, and leads to improved living standards and increasing investment in health care. All hospitals belonging to the NHS are in the public sector, reporting to the Ministry of Health. Private sector hospitals, where 3 major groups have 80% of the market share, operate under their own management policies. Additionally, Portugal has around 4 physicians/1000 inhabitants – a value well above the European average – trained by demanding Medical Schools, where just top students are allowed to attend. Further more, in Portugal 30% of the population is fluent in English, 20% in French, 10% in Spanish. These percentages are considerably higher in the services sector and especially in the health care sector, where the medical bibliography is mainly accessible in English and French. In line with the Portuguese hospitality, the country’s medical teams give the personal and human care patients need. They have the vocation and make the time for it. Besides analyzing major trends on health indicators in Portugal, another curious marker of the country’s performance are, naturally, blogs, in which foreigners living in Portugal share their experiences. Living In the Sun, the blog of a British citizen living in Portugal states that “by conducting adequate research and ensuring that you have gone through the correct processes, you can be sure that you will receive the same high quality health care that you are used to getting in the UK. The Portuguese health system is very efficient and has an extremely good reputation for standards of care, so you will certainly not be jeopardizing your health by moving here!”. 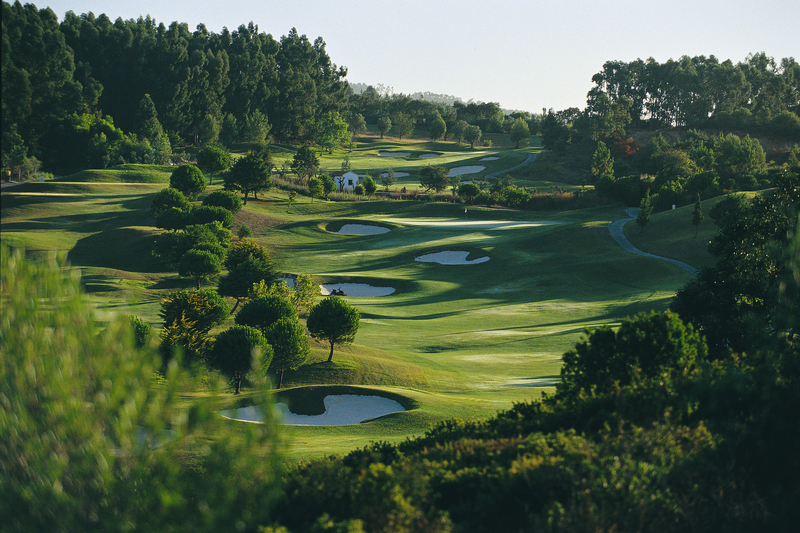 Portugal won the prize for the best golf destination in Europe in 2012 and was elected as the best destination for golf holidays by international travel agencies in the scope of the Travel Agent Choice Awards. When it comes to Medical Tourism decisions, we want, first of all, to be sure about the quality of the healthcare provider’s infrastructures and teams. But there is much more beyond this. In Portugal, patients are having their medical treatments in one of the safest countries in the world – 18th out of 162 in the Global Peace Index 2013 of the Institute of Economics & Peace –, whilst hosted by highly professional medical teams that hold the warm and humane touch that characterizes Portuguese nature. In Portugal, patients can take advantage of the country’s warm and sunny weather, where mild winters allow outside treatments, combining the sun’s healing capacities with advanced medical programs. And shortly after, one can choose to play golf, go to the beach, do exquisite river cruises, or go on a shopping spree, in one of the safest and language-savvy countries in the world. All together, this configures a safe and very attractive ecosystem for Medical Tourism in Europe. If you considering healthcare abroad, visit Medical Port’s website for more information about procedures, hospitals and doctors available in Portugal. You can also use our contacts page.